We are proud to announce that Lina AlBitar with her idea of 'Compost for Organic Farming' is the winner of the Bidna Fikra competition. 3. long term benefits from implementing the idea at the centre. We thank everyone who participated in this competition! All the best on Working Dreamers! Robotics enhances children's creativity. It is a fun way to learn science, engineering, math and programming concepts, considering the role that tech is playing in our lives nowadays. It is suitable for children who have a range of abilities. Music and dance. Dancing will help the body, music will help the soul. Peoples will enjoy being together, experiencing a new world. 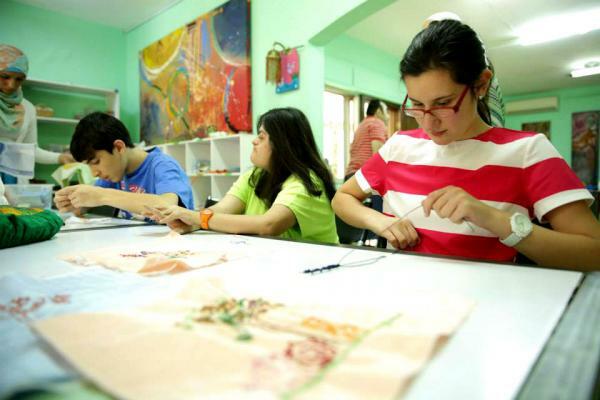 We at Orient Spirit Development are a vocational training center dedicated to the habilitation and training of individuals with persons with disabilities(PWDs) and learning difficulties through training and craft making. The center was established with the primary objective of enabling trainees to harness their inert abilities toward leading active, productive lives. Currently, we are teaching our students stitching, sewing, accessory/jewellery making, mosaic making, pottery, gardening, taekwondo, music, and carpentry. an idea which will be FUN for our students! Participation Anyone aged 18 and over can participate in this international contest. Participants declare that they agree with the terms and conditions of the contest, the rules, and the jury’s decisions. Participation is free. Each participant can make one single submission for the ‘Bidna Fikra - بدنا فكرة ’. Submissions can (and are encouraged) to include a video entry, photographs, and a litte description of the idea for the activity. By submitting an entry idea, participants give the organisers the right to use their entries to promote this competition (i.e. the catalogue, publicity in the press and on other media, posters, exhibition, etc.). Entrants remain responsible for the originality of their works. Discussions and possible claims related to any form of plagiarism are at the entrant’s expense. If plagiarism is discovered after the prizes have been awarded, the jury can deliberate and decide to revoke the prize. We are waiting on your great idea! You can win the bounty provided by the project manager in the amount of 700 USD. The exposure and credit for having the winning idea. Honest feedback on your idea so that you can work to enhance, learn and come up with new ideas!